Below: P. 44. 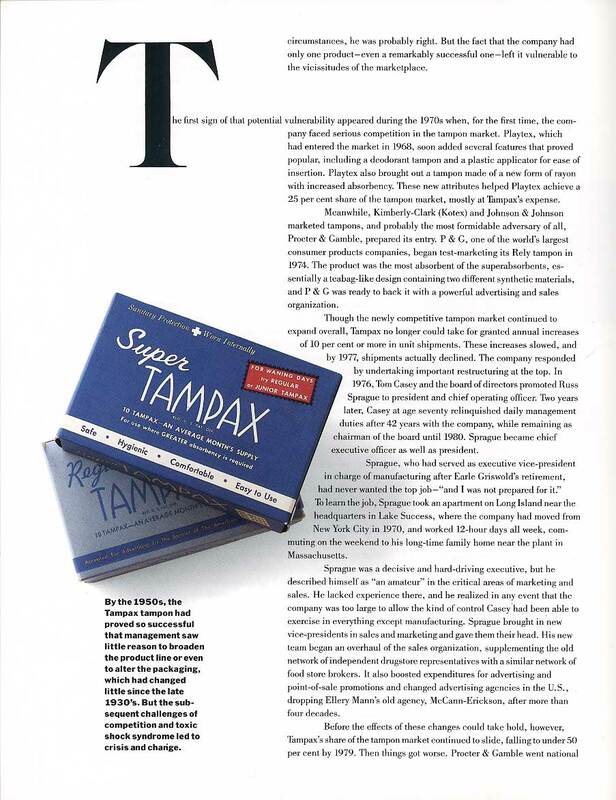 Playtex, Rely and others take away part of Tampax's market. market - and things got worse.